The reason we should hope for the success of others -- even if we temporarily fail -- is because time proves that whatever perfection one can achieve . . . becomes the possibility of all. There's an ancient truth tale about a young man who yearned to study with a renowned master of archery. It was widely spoken that this teacher had achieved perfection of mind. His skill with the longbow was reported as second to none. Admittance to this master's school presupposed a potential student was already advanced enough to strike the small center of a target from a great distance. But it seems the young student at the center of our story had never even owned a bow before. And so, when his time at the line came to shoot his one arrow -- and through trial win admittance to this select school -- he failed to hit the mark. He was politely sent away. The young man's spirits sank. He knew his family didn't have enough money to buy him a bow. How could he practice his art? How would he ever learn the skills he so desperately wanted to understand? Disappointed and feeling rejected, he returned to his mountain home where, late one sleepless evening, he was struck with an unusual idea. He immediately set out to carve a lifelike statue of the teacher who had sent him away. He delved into his work, paying strict attention to every detail of his archery master's perfected shape and form with the bow. Slowly a strikingly real and lifelike image emerged. Of course, all the villagers thought his actions strange. Some even laughed out loud at his foolishness. But he didn't care. His heart knew what he had to do. And he was listening only to its instruction. For the next nine months the young student sat before his completed statue of the master. He studied every detail of exactly how the master stood, of where his one hand held the bow and from where the other drew the string, of the spot where the arrow shaft lay up against the bow, and of where the teacher's fingers dressed the arrow itself. From the arch of this statue's wooden back to the gentle tilt of its wood-hewn head, not a single feature escaped the student's eager eyes. And when at last the time came around again for the young man to draw his arrow in competition for a place in the master's school, all the other prospective students started again to tease him. They all knew he had yet to own a bow. How could he hope to win? But this time, when the young man let his arrow fly, it flew straight to the heart of the target. He surpassed them all, and won his place in the school. But how did this miracle come to pass? The tale of truth that isn't told in the story, but written between its lines, is a higher lesson in learning from the Free Mind. In the months that followed, leading up to the day of his triumph at the archery contest, this successful student spent all of his time not only studying every aspect of his carefully carved teacher's statue, but in learning something about his teacher that no amount of study could ever teach. Every day, with only his heart as his guide, he would try and somehow look at the world through the eyes of his wooden mentor; so, that in some unknown way, he might learn to see what his master could see at the moment of letting an arrow fly. And on competition day, because of his unthinkable efforts, the young student hit the mark. In his devotion to his master's art, he came to possess his master's skill, and was rewarded the prize that no one thought he could win. If we're to win the prize of self-liberation, to know the unrestricted life that's light years beyond the world of our ordinary thinking, we too are called to take an unthinkable action. Before we can enter, and live in, the higher realm of the Free Mind, we must learn to see our life through its eyes. Like the young archer in our truth tale, we must first give ourselves to the higher view of the Free Mind, and then we'll receive its powers of perfect perception. We must act in order to receive. If this idea sounds familiar, it should, and nothing is more rewarding -- or practical -- than this new kind of vision. 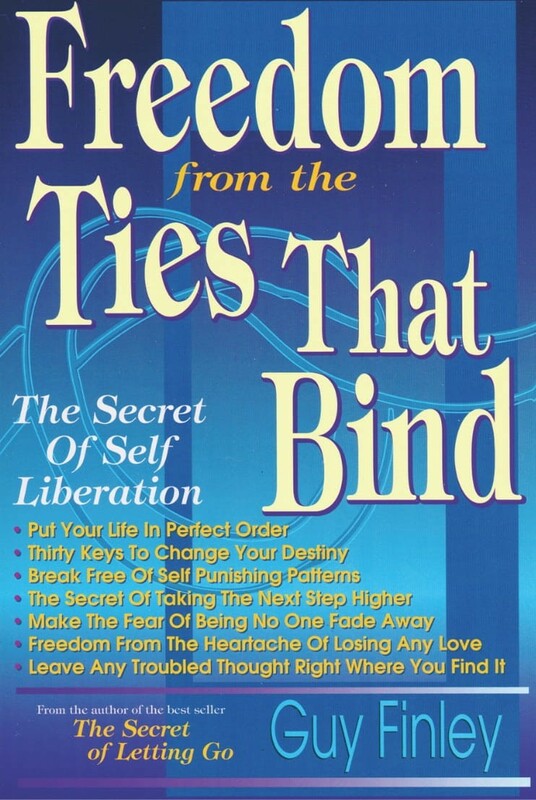 Excerpted From: Freedom From the Ties That Bind, pages 72-74.